Use this guide to strengthen your credibility and share your knowledge. Thought leadership positions you and your brand as trusted experts in a particular field or industry. 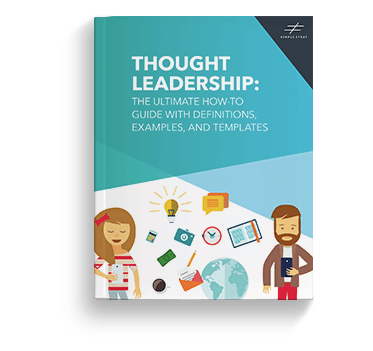 Our guide is packed with tactical advice and examples to help you start a thought leadership campaign. Consumers actively search for people they trust who can help them solve their problems. Simple Strat helps make your marketing make sense—from the colors and fonts you use, to wisely using a budget. Everything they come up with always serves a purpose.